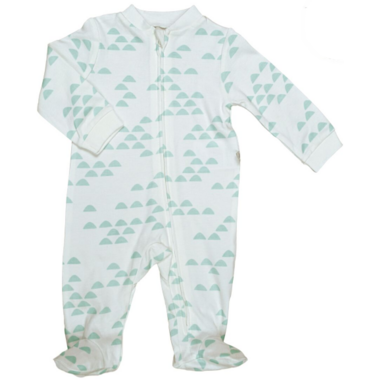 Made of viscose from bamboo, this Perlimpinpin pajama will take baby to Dream Land! Cozy enough for all skin types yet perfectly adapted for delicate skin, this fabric is recommended for babies with allergies or eczema. Zips from chin to ankle for easy dressing and changing. Get the matching prints for a perfectly paired baby shower gift. Small: 3 Months 10" x 20.25"
Large: 9 Months 10.5" x 24.75"